The film's reliance on previous installments to introduce the characters in "Glass" makes it an unapproachable mess for viewers unfamiliar with Shyamalan's complex universe. I walked into this movie fresh, not having seen the previous two M. Night Shyamalan films in the “Unbreakable” trilogy that “Glass” is a part of. Despite my lack of knowledge, I expected that the movie would stand on its own without the necessity of other content to enable enjoyment. “Glass” did not stand on its own. While it is expected that the plot would be summarized about here, I feel incapable of doing so after watching this film. It is so convoluted and disorganized that no newcomer to Shyamalan’s world could comprehend how everything ties together. 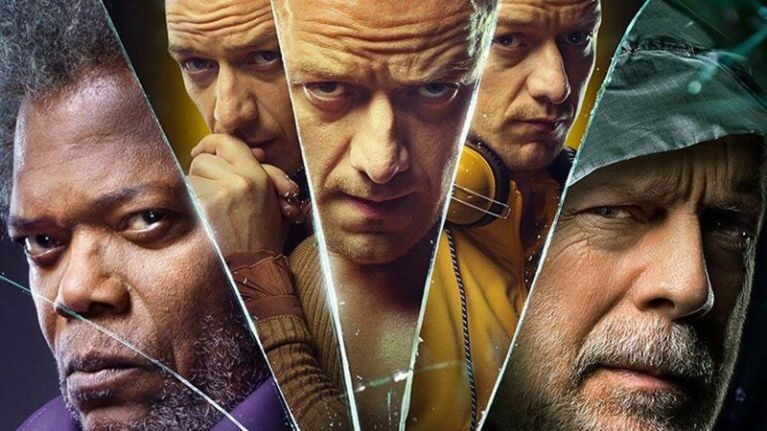 Basically, Elijah Price (Samuel L. Jackson), David Dunn (Bruce Willis), and Kevin Wendell Crumb (James McAvoy) spend the movie fighting for their identities against forces that refuse to accept them. Any entertainment value stems from the challenge of putting everything together and coming to realizations as new details were revealed, so spoiling the plot further will completely sap any enjoyment for potential viewers. The first half of the movie was a confusing mess that seemed to have no focus. Although I welcome deviations from the straightforward and simplistic plots of other action-packed superhero movies, a garbled storyline isn’t any better. The film introduces a new situation or character almost every 10 minutes, making it a struggle to keep up with the plot. As far as characters go, very few were memorable enough for me to even recall their names, with the exception of Crumb. James McAvoy’s portrayal of Crumb was extremely well-acted and entertaining. His scenes were the best in the film solely due to his presence. However, it was very obvious that viewers are expected to have wacthed the previous two films in order to understand the behaviors and motives of the characters in the movie. Aside from the confusing elements, the practical aspects of the film were solid. The score featured drawn-out, tension-building pieces that established the moody and almost sinister atmosphere. The cinematography was also impressive. Though complicated camera angles added to the confusion, they also changed the entire feel of many scenes for the better. I even tensed up at times during the close personal shots of fighting or struggling. However, some shots were unnecessary and failed at their intended dramatic effect. For example, as characters read various documents, vital information was displayed for only seconds at a time. While it was nice to be seeing from the eyes of the characters, I would have easily missed the key information if I was not paying such close attention. While “Glass” left me intrigued, it ultimately failed to deliver a cohesive and engaging plot in its attempt to break away from common tropes of the genre.